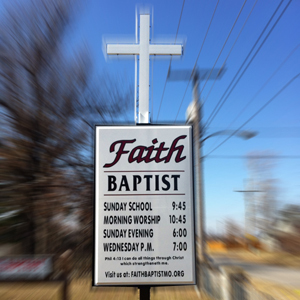 Faith Baptist Church is an independent Baptist church in Springfield, Missouri. The pastor is Mark. This church does not have a publicly available Statement of Faith. They offer Traditional worship services in English.